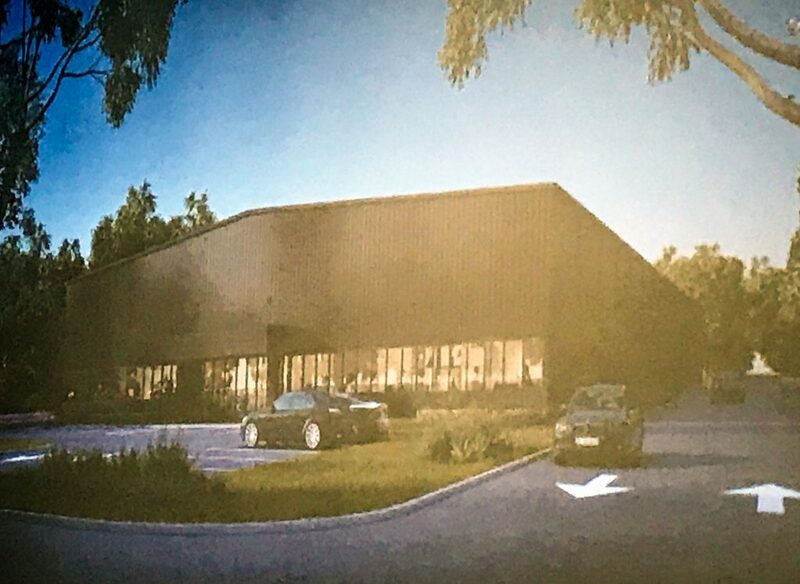 A meeting led by the attorney for the Brick company hoping to gain approval to build a medical marijuana dispensary and grow house shed immense light onto the details of the proposed business’s operations, but sometimes turned tense as neighbors faced off against marijuana activists who also attended. The two hour-long meeting introduced Anne Davis, the founder of Jersey Shore Therapeutic Health Care (JSTHC), and her staff to the community. It was led by John Paul Doyle, a local attorney who will represent the company at a zoning board hearing next week. JSTHC is seeking permission to convert an existing bank building into a dispensary for medical marijuana patients and build a 48,000 square foot grow house on the 6.7 acre plot, located at 385 Adamston Road. The project requires a use variance, the most difficult type of variance to obtain, from the township’s Board of Adjustment. It is also subject to approval from the state Department of Health, which will announce the approval of six proposed dispensaries statewide Nov. 1. The meeting was packed, with a line of attendees stretching out into the main hallway of the municipal building. Most of those who spoke at the meeting were medical marijuana patients – some from Brick, and some from other Shore communities – who shared stories of how cannabis relieved pain and helped them deal with chronic illnesses. The next-largest group consisted of residents whose homes are located near the proposed site. They questioned whether a dispensary and grow house constituted a security risk, could affect their property values, or could attract transient customers to local streets. On several occasions, the residents were met with heckling by some of the activists in the room, including one who was broadcasting a live feed of the meeting on Facebook. Still, the meeting was filled with detailed information on the project, and the JSTHC staff offered to work with homeowners and promised to be a good neighbor. The top issue was security at the site. Doyle said the company has hired Michael White, a now-retired 26-year veteran of the New Jersey State Police, to lead its security regime. White, who currently works in school security, said he has a background in homeland security assignments and assessing the security of buildings and infrastructure. Some neighboring residents said the very fact that so much security is required – White held up a 94-page operations manual – meant that the facility was not appropriate for an area so close to residential property. But Davis said many of the high-tech and comprehensive security measures are state requirements that were specifically put in place to assuage concerns of townspeople across the state. Joel Allcock, who will serve as the company’s operations manager, said the dispensary will attract fewer patrons than the OceanFirst bank branch which previously occupied the site. The bank, he said, had been robbed five times over the years and the dispensary would be a much more difficult facility to rob. White said security guards will be present at all times. They will not be armed, however, to reduce the risk of any violence during a potential robbery attempt. 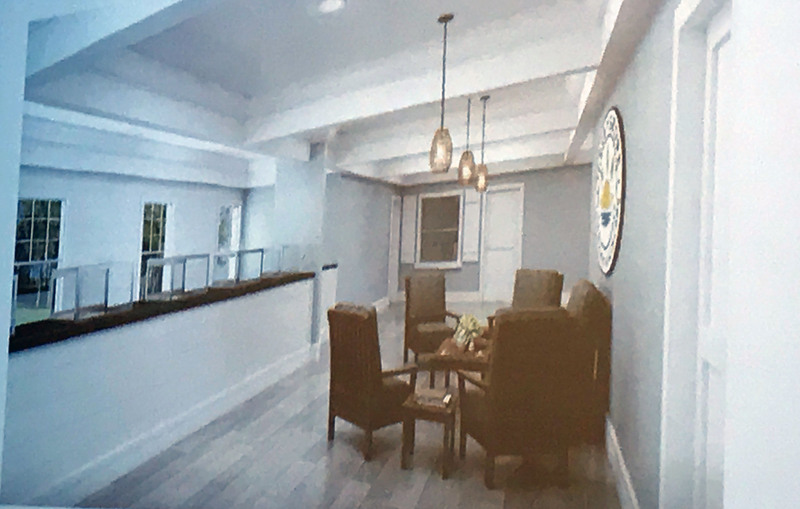 Davis described the patient facility as being neatly and brightly decorated with a “Jersey Shore feel.” The site will also be discreet, she said. There will be no signage besides simple lettering on the front door, and patients will have to pre-register for a medical marijuana card, declare the Brick site as their chosen dispensary, and have both the medical card and identification confirmed before they are allowed out of the lobby and into the dispensary itself. “We hope to keep it discreet because the only people who belong there are registered patients,” said Davis. White said the use of marijuana is strictly prohibited on the premises and in the parking lot. Anyone who violates the rule risks being banned from the facility and anyone who drives after using the product will be reported to the police. Davis, who runs a solo law practice in Brick and has served as the former Executive Director of NORML (National Organization for the Reform of Marijuana Laws) New Jersey, said her ultimate goal is to serve the community and contribute to medical marijuana research. She said she suffers from multiple sclerosis and uses medical marijuana to allow her to sleep despite chronic pain. She also serves as a Girl Scout leader and CCD teacher, and St. Dominic Catholic Church’s recently-retired pastor Msgr. James Brady, was among those who wrote her a letter a recommendation to the state as part of the application process. “I want this to be a good business, help our local patients, and I’m not going to allow bad things to happen,” she told neighbors who viewed the project with skepticism. Patients will sign a “good neighbor agreement,” said Allcock. Michael Doumas, whose home neighbors the property, said he fully supports the availability of medical marijuana, but reiterated calls to locate the facility in a more defined commercial district. There has been little to no data produced on the nexus between a medical marijuana dispensary to crime issues. Some residents pointed to a robbery at a dispensary in Egg Harbor Township in Dec. 2017 as an example of what they would like to avoid seeing near their homes. Aubrey Conway, of Sayreville, attended the meeting and said better access to medical marijuana could alleviate dependence on opioid drugs in the community, which has been ravaged by heroin addiction. Michael Weiss, another resident, said he was skeptical himself about trying medical marijuana to help alleviate pain from MS.
None of the residents who spoke criticized the legality of medical marijuana, but said they were uncomfortable with a facility in close proximity to residential zones. “Once it moves out of your parking lot and people are smoking up on our street, it’s out of your hands,” one resident opined from the back of the room. The facility will operate as part of a “closed loop,” Allcock said, and no odor will be emitted into the outdoors. In fact, it is essential that inside and outside air do not mix, as it can affect the health of the plants. Davis assured members of the public that the facility would never become a recreational dispensary should the state legalize a recreational market. She said she is willing to stipulate before the zoning board that she has no intention to do so and would accept a board requirement that the facility always remains for medical patients only. Recreational dispensaries in other states are often larger and are affiliated with large-scale growers, research shows. “We don’t want to be all over the state or be mega-millionaires, we just want to help people,” Davis said. 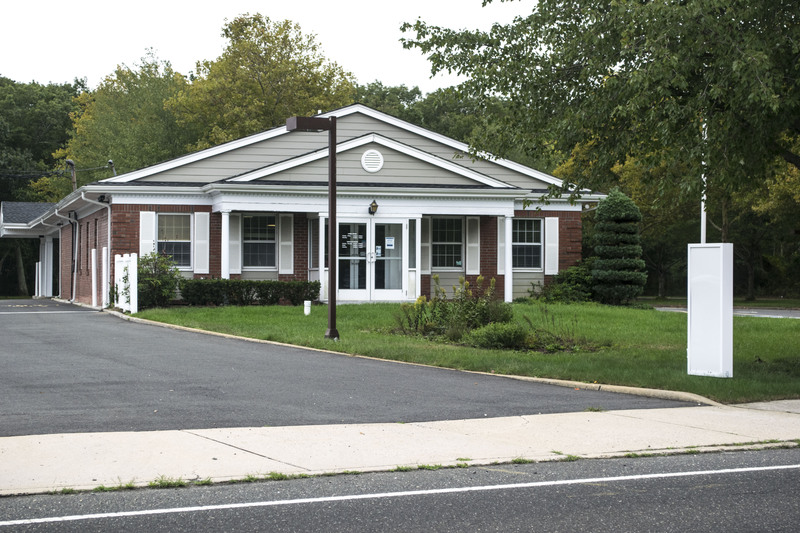 The dispensary’s application will be heard Wednesday, Oct. 10 by the township’s Board of Adjustment. Public comment will be accepted by the board following the testimony of witnesses and any formal objectors to the project. Even if the board votes in favor of allowing the project to proceed, it still requires the OK of the state Department of Health. On Nov. 1, the state will announce the approval of six more dispensaries, formally known as “alternative treatment centers.” There will be two each approved for the northern, central and southern portions of the state. Allcock said construction would begin shortly after approvals, but a cannabis product would not be available until about this time next year. “We have to cultivate the first harvest, build out all the rooms, and the cultivation process takes a while,” said Davis.